Hi! Welcome on my website. I am a leader and writer, helping teams and leaders to grow and be happier at work. I offer real-life stories, experiments, tools and practices, so you can use these in your organizations. Every leader should care about their biggest asset – PEOPLE! Leadership is one of the most important factors nowadays why people quit their jobs, why they are demotivated at work and why companies are not successfull or fail to improve. Only 15 % of the employees are loyal to their company and go beyond daily business. All other employees are doing business as usual or already quit their job in mind. How is this in your company or team? Do you feel your employees are engaged, motivated and working with the company? As a leader I’m responsible to bring this engagement back to my team. It is my job to help the company and my employees to move and grow. And it is also your job as an entrepreneur, leader, manager, and even employee. 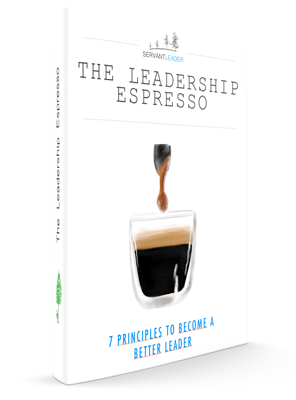 Learn here how you can improve your leadership skills. Read about real-life stories, successes, failures and lessons learned. Download templates and find useful resources that will help you become a better leader. Still struggeling if you can find answers to your questions on this website? Don’t worry, you will find whatever you need and if it is not here yet please let me know and I will answer your open questions with a separate story. Until then have fun reading and experimenting with the stuff you can find here!